Why Clients Prefer Lettering Over Fonts? There are many who confuse fonts with lettering. Fonts are typefaces which are designed for a repetitive use and they look absolutely flawless. On the other hand, lettering is an art and each letter can be of different designs and can have objects of various types. There are no defined rules and regulations to follow and they cannot be rearranged as it can be with fonts. It is a human nature to appreciate things that are beautiful with their imperfections rather than the ones which look too perfect to appreciate. If you want to learn the skills and techniques of lettering, you need to visit Skillshare classes for thorough knowledge and making it a career in the future. There is an unlimited supply of fonts yet clients prefer custom letters. The reason lies in exclusivity. Fonts are something that everyone can get and use anywhere they want. Custom characters, on the other hand, are exclusive and limited. Only a skilled person can make them and use them appropriately to make an ordinary thing look extraordinary. Furthermore, the design industry has become saturated with fonts to such an extent that fonts have lost their appeal and personality. To cope up with the popularity of hand lettering, there are certain fonts which have tried to mimic such hand-craft only to fail and point out the difference in appearance between fonts and custom characters. The beauty lies in the perfection of the imperfections. 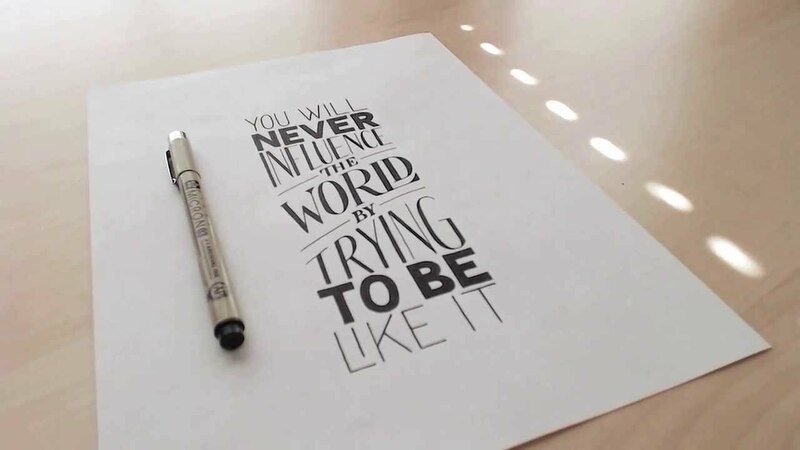 In the digital design world, when some designers are using geometric shapes and fonts to make designs look perfect, others are using hand-drawn lettering and design to make the design stand out in the crowd easily. The human touch and aesthetics are being liked and appreciated by the end users and the clients are overwhelmed with the response they are receiving. Lettering is adding the much-needed personality and authenticity that are missing in traditional designs and that is why they appeal to the eyes instantly. Furthermore, there is a natural inclination in human beings to appreciate art forms and lettering being an art form gets the attention immediately among everyone else. In order to capitalize on the booming of the lettering designs, it is important to acquire the skills and you can visit Skillshare classes to learn all the different techniques to design custom characters and apply them on various digital and physical items and work as a freelancer sitting in your home.